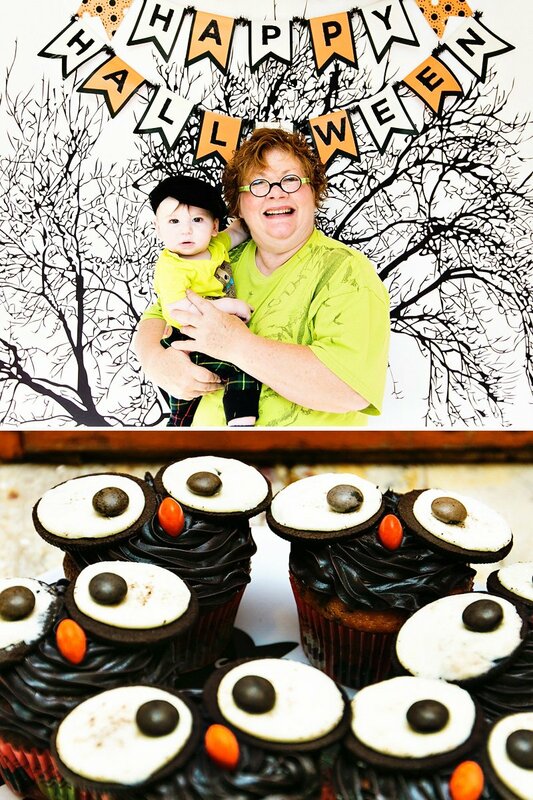 I’m excited to kick off the first featured Halloween party post of the year with this super fun Kooky, Spooky & Playful Pumpkin Halloween Party from Jennifer Perkins! 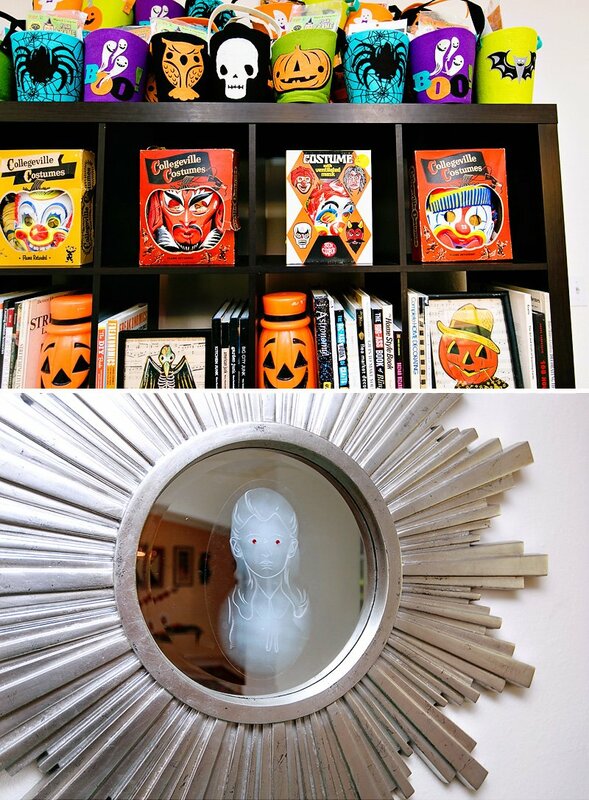 Creative desserts and *haunting* decorations pop out of every corner, including mirrors with peering ghosts and an eerily monochromatic mantel. 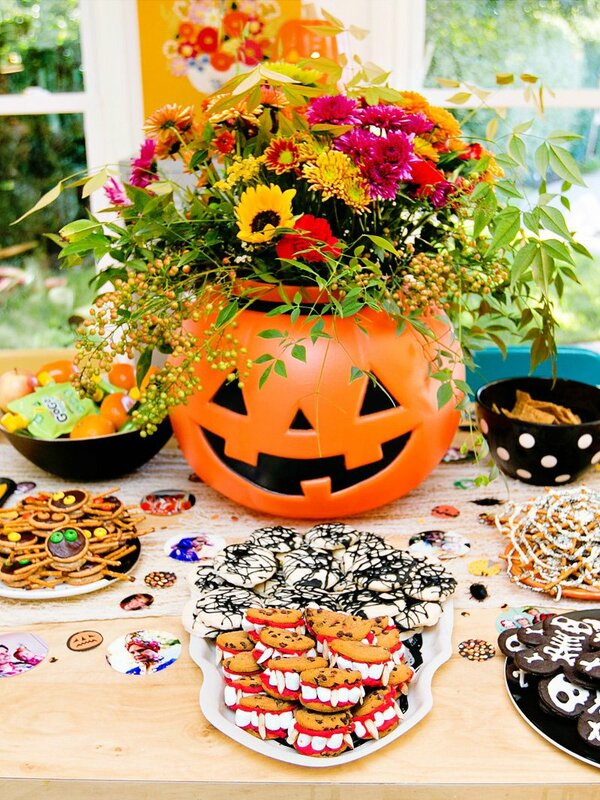 Throw in the Dracula cookie sandwiches, spider pretzels and skeleton cookies and I wish this was my trick-or-treat destination! P.S. 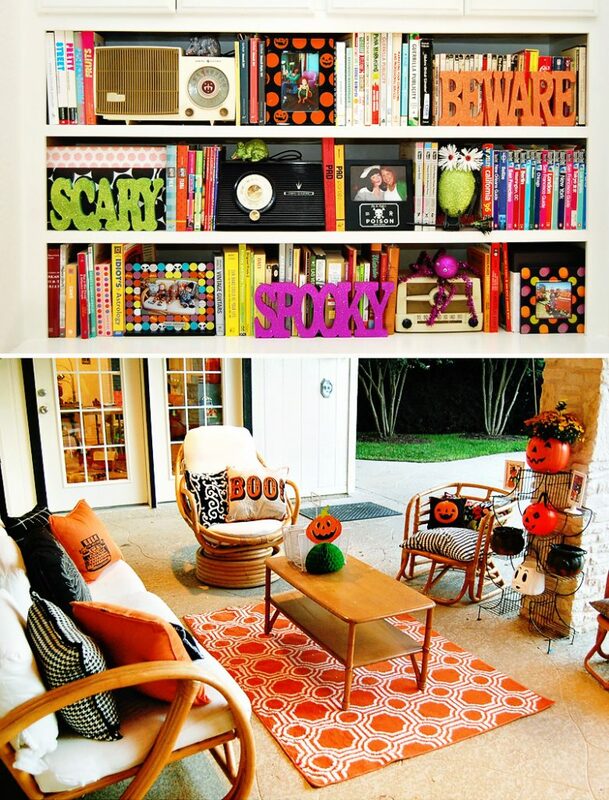 Can you spot all the pumpkin candy buckets used as vases and hidden in book shelves? 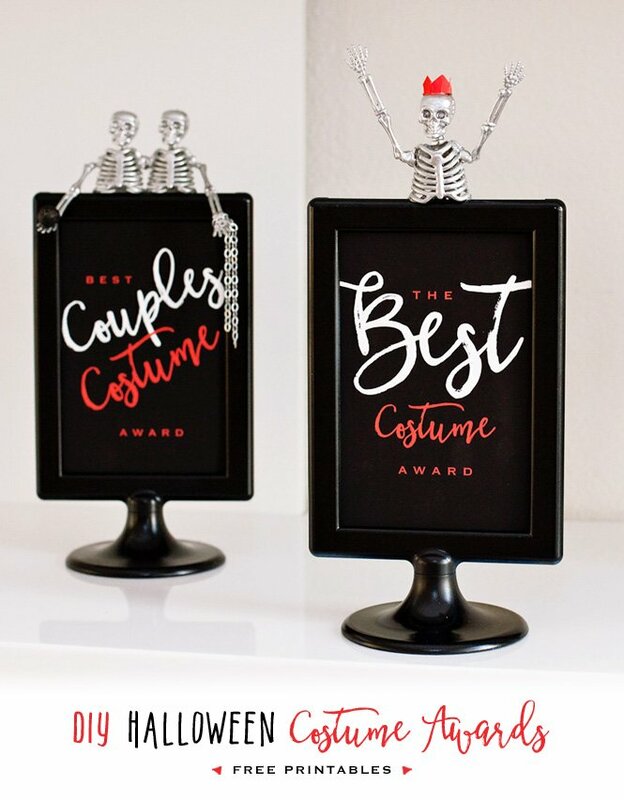 What a playful, affordable & easy way to dress up the house for the holiday! Some people say Christmas is the most wonderful time of the year, I’d say it is second to Halloween. 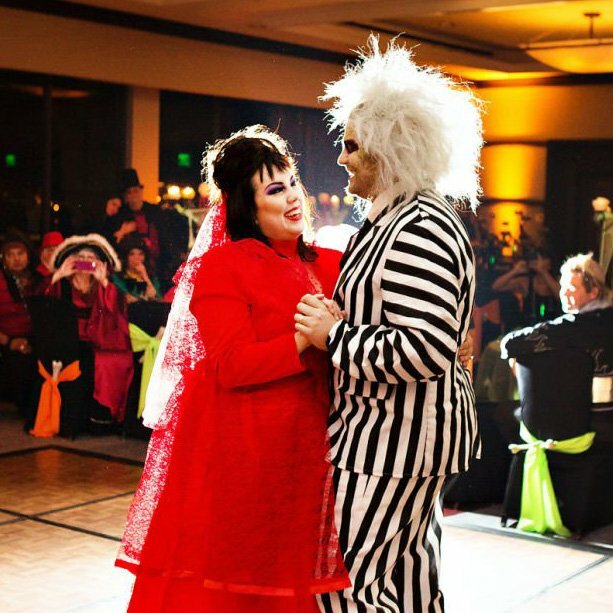 All year long in the back of my mind I am planning my annual Halloween party. This fall will be my 7th year hosting. 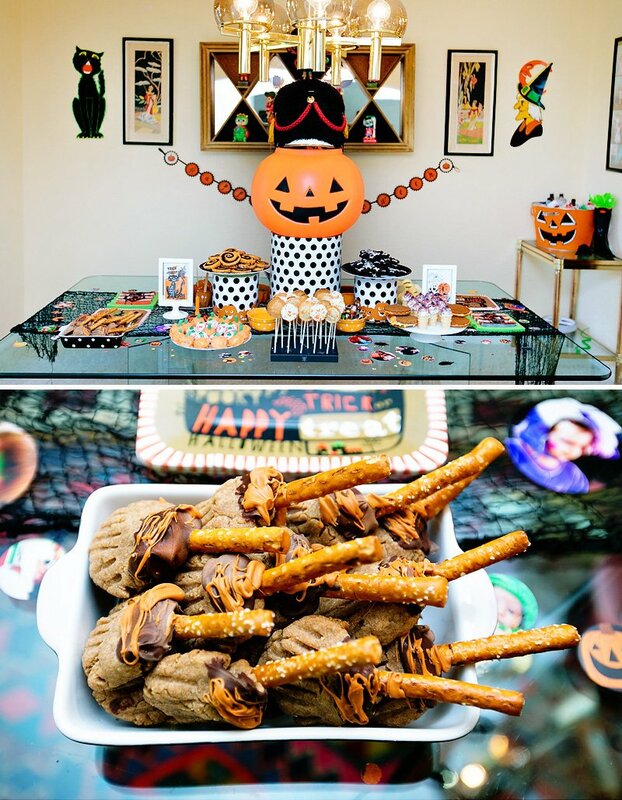 Every year I try to decorate a little different, try a few new recipes and of course mix up the entertainment for the kids (last year we had a train ride, this year there is a reptile petting zoo). 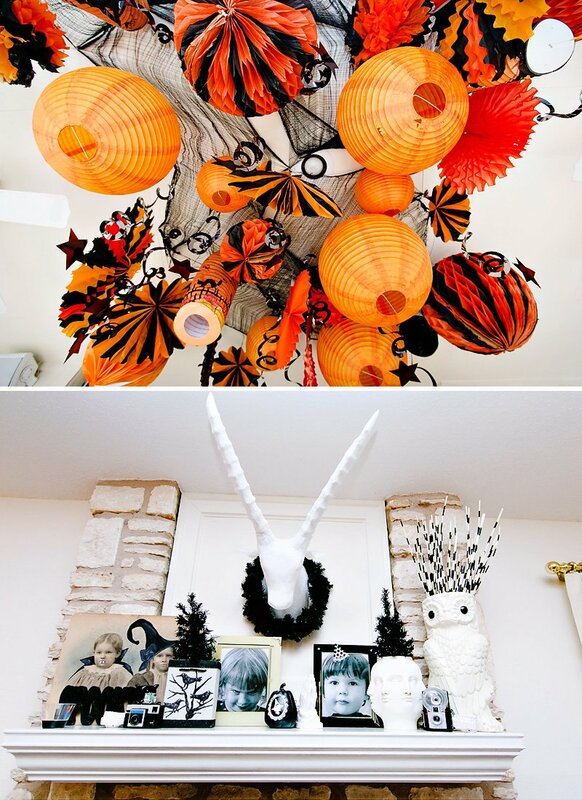 One of the reasons I love decorating for Halloween is that it is more of a challenge. 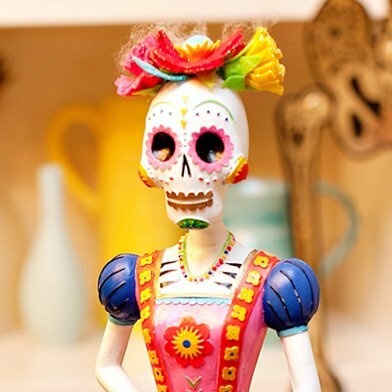 Whether you are talking about brand new store bought decorations of vintage goodies picked up a flea market, Halloween decorations are harder to find than most holidays. 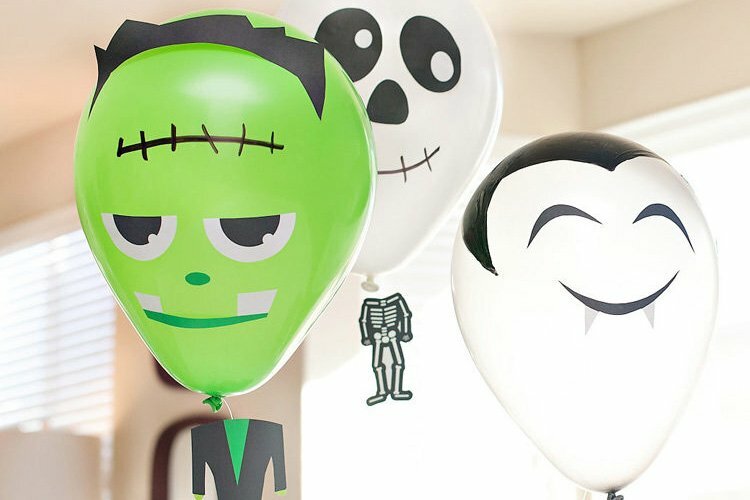 In recent years Halloween has enjoyed more aisles at the craft store, but vintage Halloween goodies are still rare and elusive. Collecting vintage Christmas is like shooting fish in a barrel, vintage Halloween keeps me on my collecting toes. 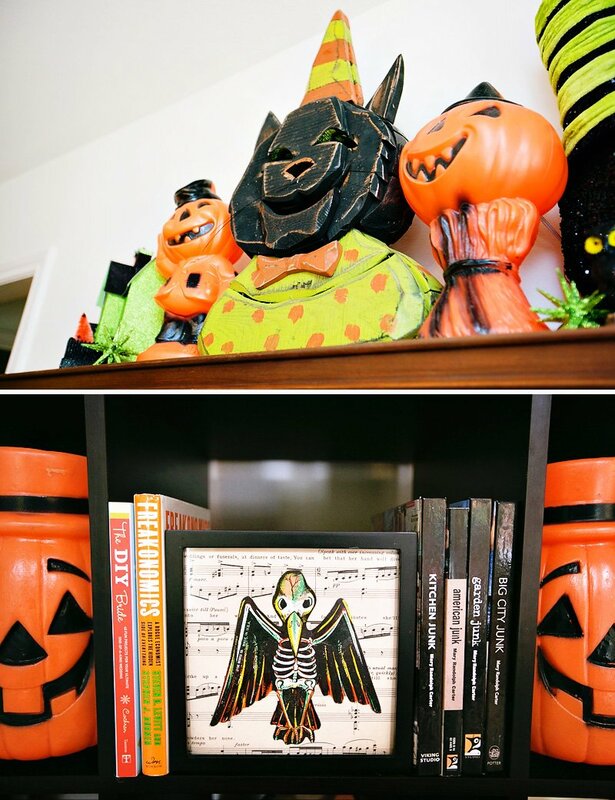 Every year for the party I find different ways to display my growing collection of old costumes, noise makers, paper-mache pumpkins and more. 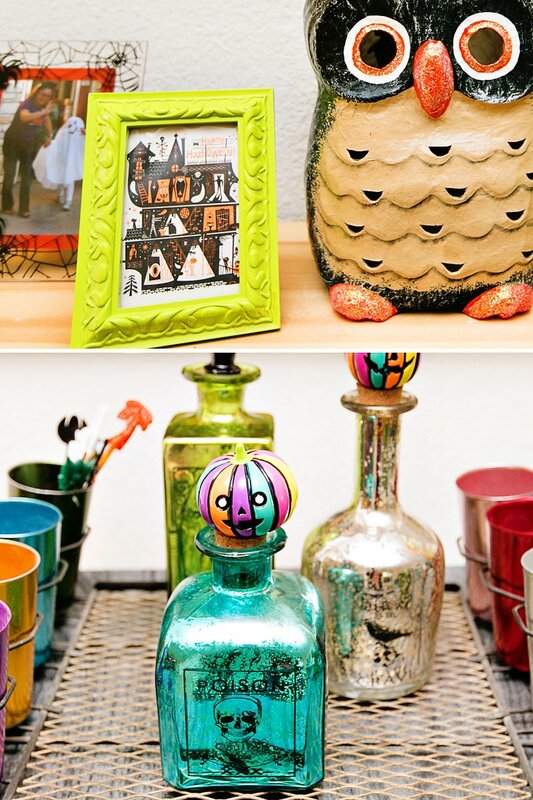 These unique items give the vignettes at my party a one of a kind feel. You can’t walk into a store and find most of the things I have. 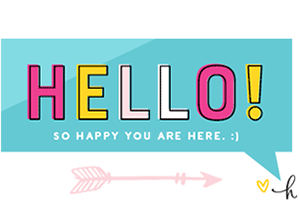 I make a point to try and mix old and new as well as think outside the orange and black box. I like to say that orange paper lanterns from my sister’s wedding are the gift that keeps on giving. 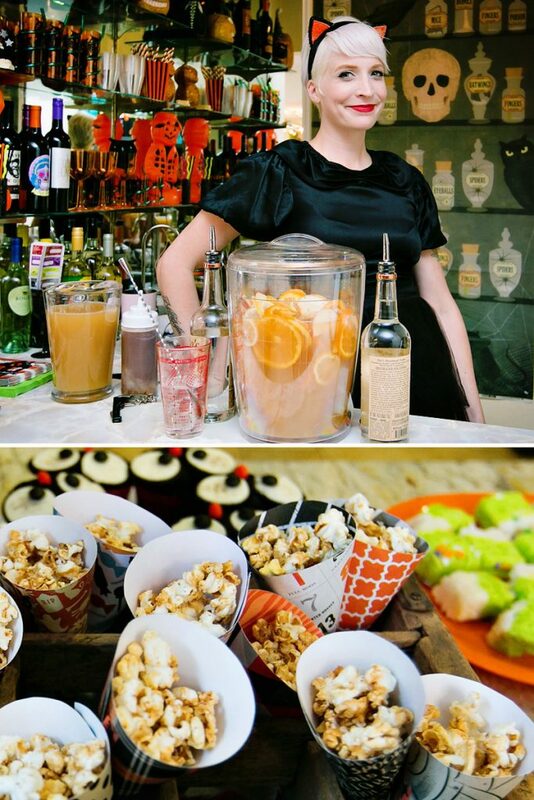 Since her wedding I have managed to incorporate them into each of my Halloween parties. This particular year they were combined with spider webs, stars and black pinwheels to create a big impact on my back patio. I have a large pool and backyard so it is important to not forget to bring the decorations outside. I like to hang plastic jack-o lanterns from the magnolia tree in my yard as well. 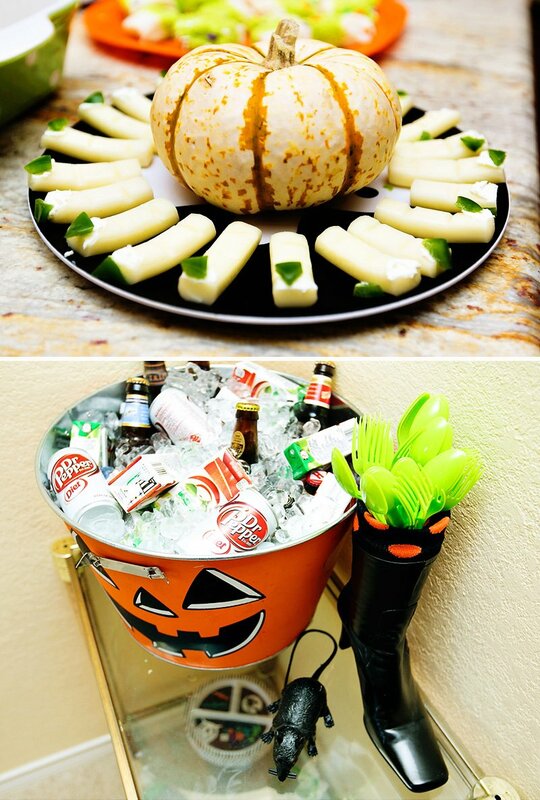 The food for my annual Halloween party is made almost entirely by me. Not because I love to cook, but because my son has a peanut allergy. If I make everything I know it is safe for him to eat. Maybe not healthy, but safe. 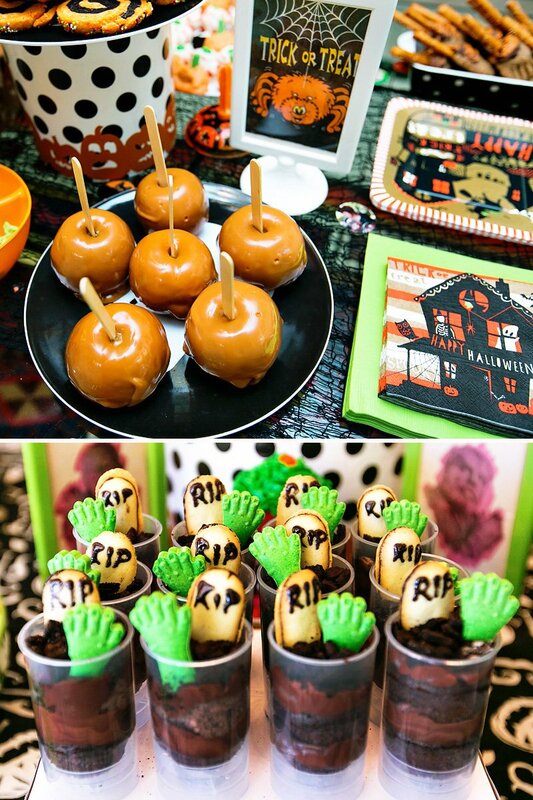 When cooking for a Halloween party fun is the name of the game. Nutrition and taste are second to looks. 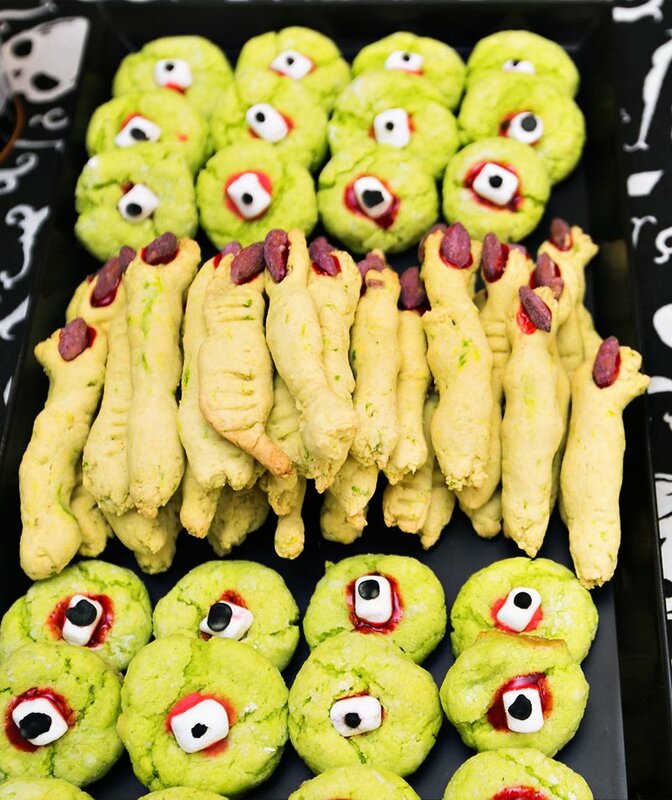 Anything involving candy eyeballs or shaped to look like a witches finger is going to win the hearts of the school age set. My house has been decorated and in the ready position for this year’s party since mid-August. Given, I work in the craft and design industry so I have to decorate early for my job – at least that is what I tell myself. 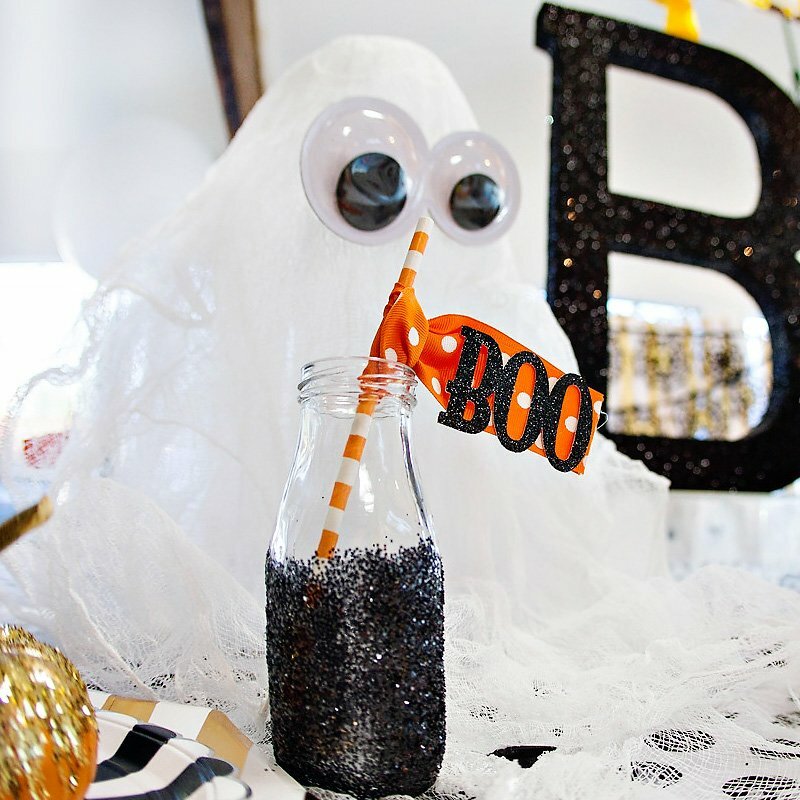 However, I have a feeling that even if I was a lawyer or a banker I’d still excitedly take my Halloween things out of the attic long before the kid’s go back to school in the fall.